Snail mask yes I can hear a lot of you probably thinking this is utter gross!!! 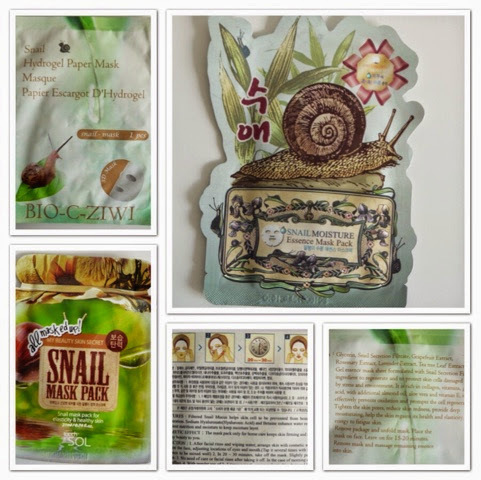 Snail products have been booming in Asia for a very long time and specifically South Korea. For those who are familar with the Korean brand Missha, they launches their Super Aqua Cell Renew Snail cream back in 2010. This product claims it heals skin, soothes, regenerates and the product itself contains 70% snail extract. So how could snail serum actually improve our skin? Snails and humans share the same skin elements, the balance between elastin and collagen in the skin of snails is almost the same to that of humans! When snails face hardship they naturally produce a serum that is packed with anti inflammatories, antioxidants, proteins, immune modulators, co-enzymes and cell communicating ingredients and this is the principle ingredient in snail creams / masks / gels etc..
Its worth also pointing out that the gathering of the serum is done in an cruelty free way, no snail is injured or injected anything in the process. The serum is collected and the snail just moved back to it's live of flowers/ leaves. The snails need to be looked after and stay happy in order to produce quality serum. I have been loving these sheet masks and I have been using them for almost 2 years. They are amazing for the winter when we turn our heating up and the skin just needs a little boost or to be used before a night out where you need a full face make up - your foundation will apply on smoothly and blends easily. If you are interested a variety of products can be purchased on Amazon here. So have you tried it and if not WOULD you try it? I remember this new craze when I was in korea back in 2010 too! 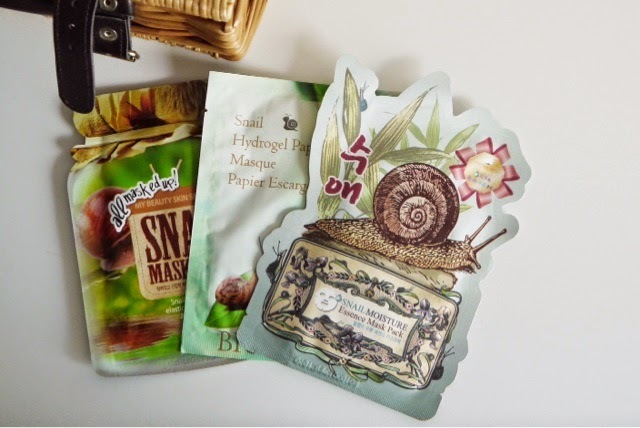 I've got the same snail mask, but haven't used it yet, will try it out tonight! Really interesting background that you've shared too! Take a pic and show me which ones you are using! This really sounds gross but I've heard good things too! Would be interesting to try it!